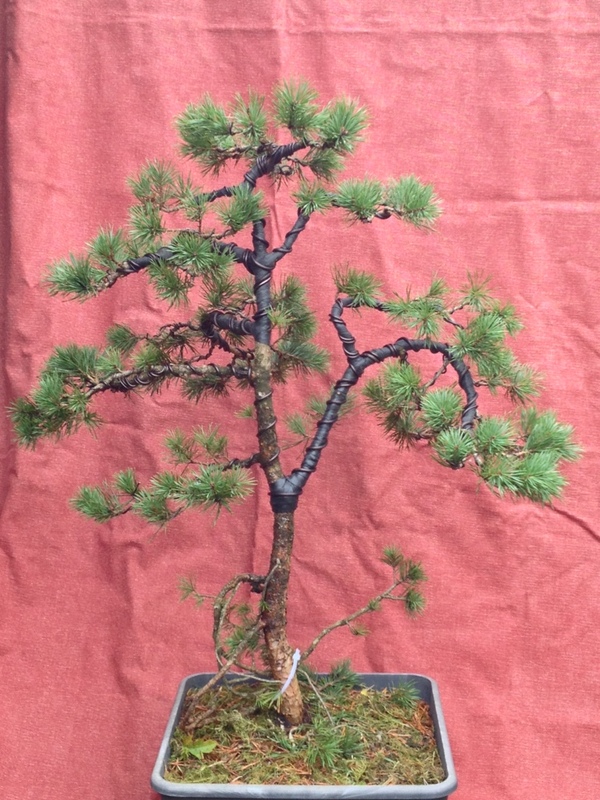 Thought I’d post photos of my pine. 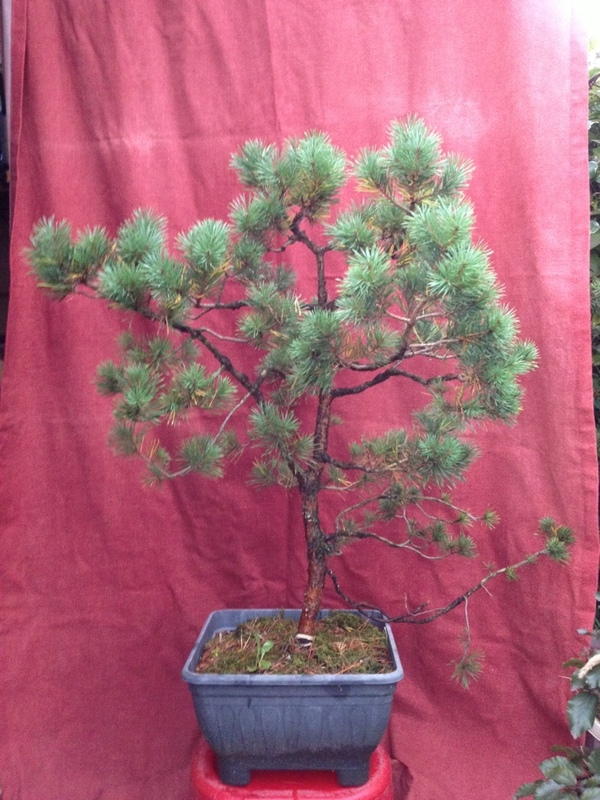 The original idea was a twin apex pine. 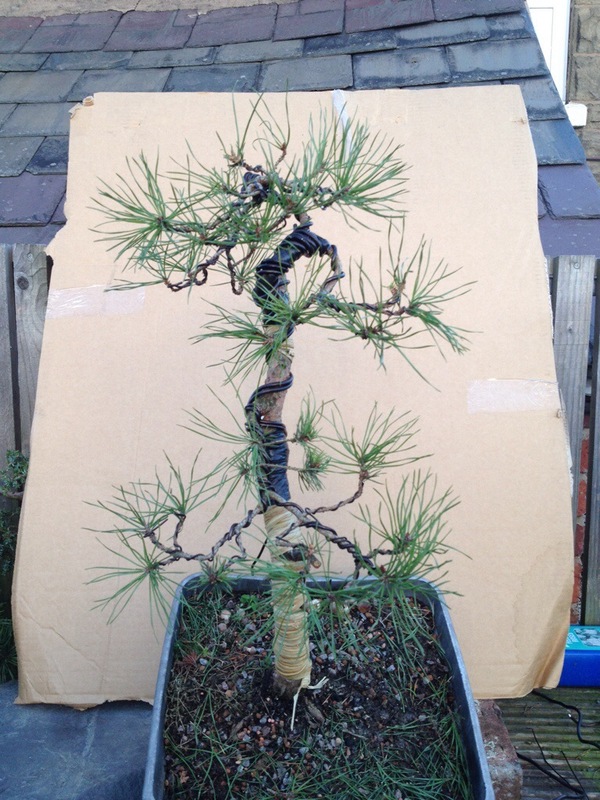 I’ve looked at the pine for two years, and it was in need of work to correct its faults. Bar branches up at the apex and the second branch wasn’t quite right. The the has been a very strong grower over the past growing season, so I decided to take it to burrs, with a view to the artists coming up with a plan to restyle it. The plan however was floored. I’d prepped the tree with rafia and wire. 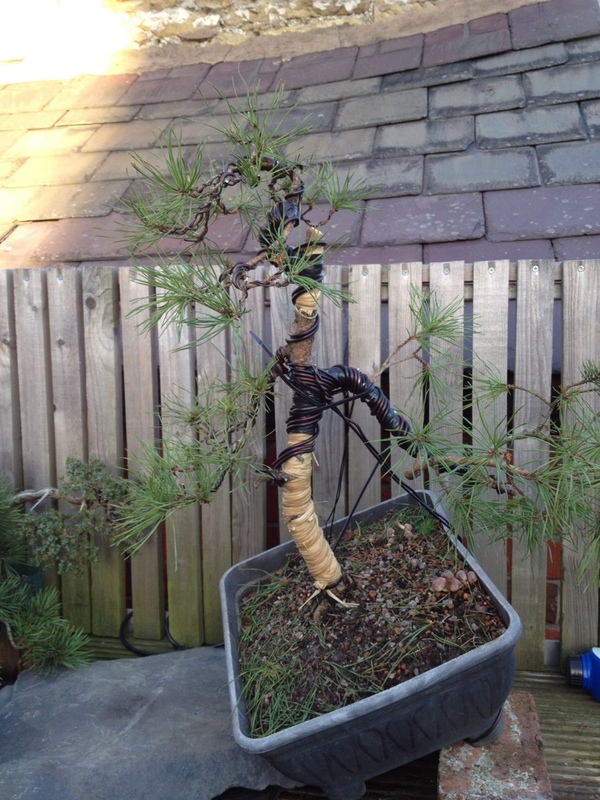 But I had the thickness of the wire all wrong and the branches kept springing back. 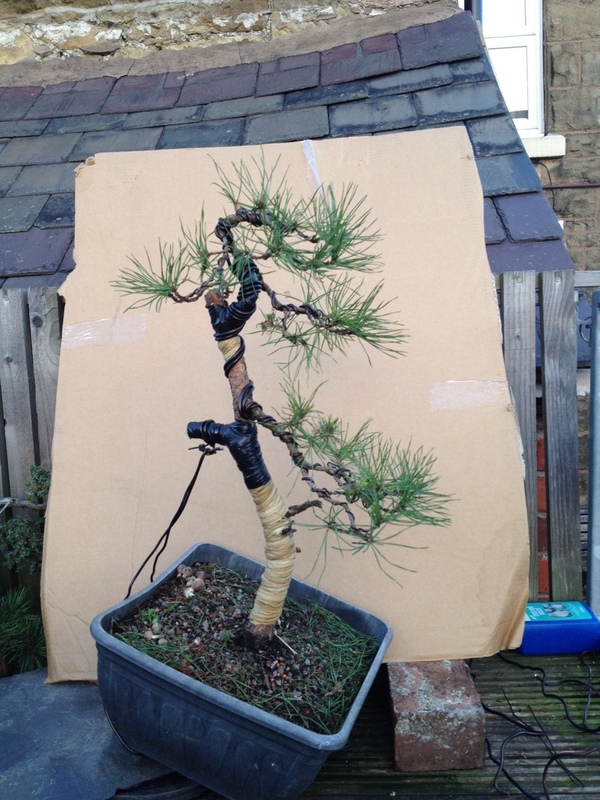 I then had also forgotten during the Pitting up of the tree to wire it in!!! Rookie mistake. This meant that we couldn’t bend it as severely as we had wanted. I felt completely deflated over it, especially as everyone was packing up ready to go home. Into the car it was basically unstyled, but both apex’s removed. 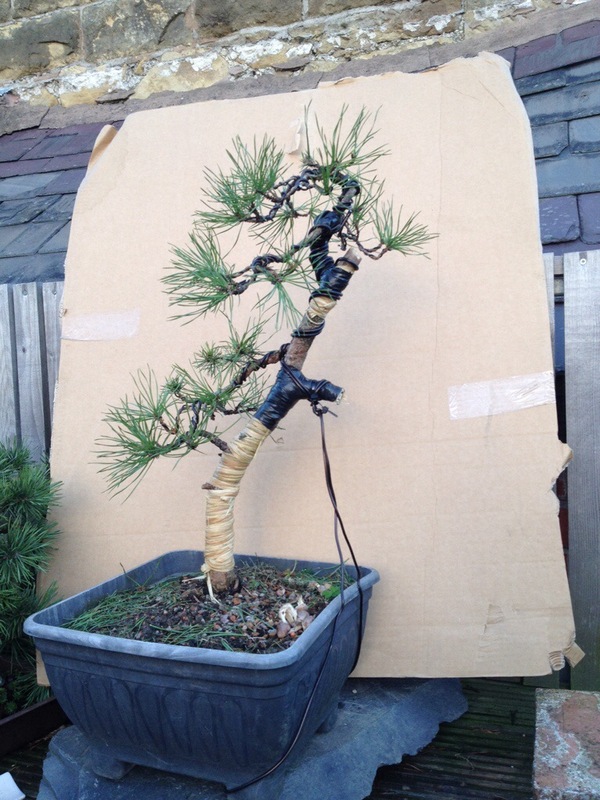 I took out the choppers, lopped the right hand branch off and wired the rest if the tree. This is the resulting image!! 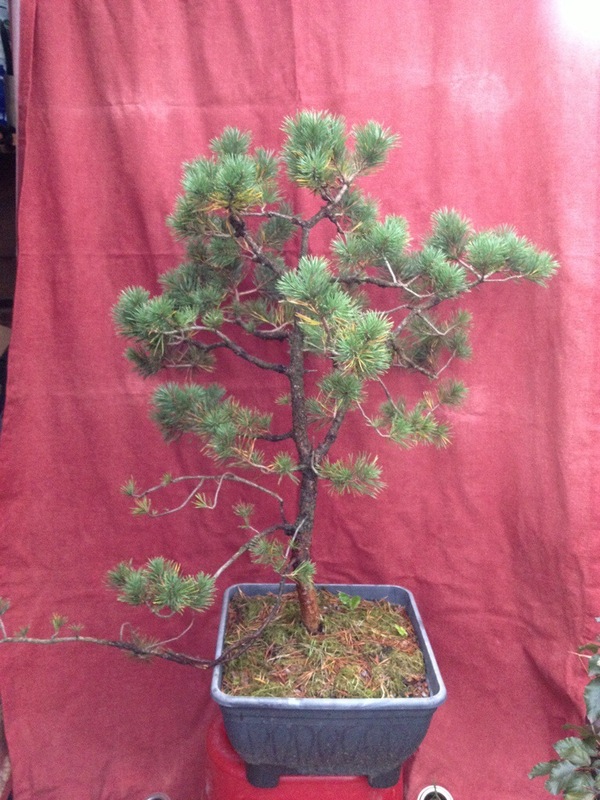 This entry was posted in My Trees and tagged pine restyle. Bookmark the permalink.